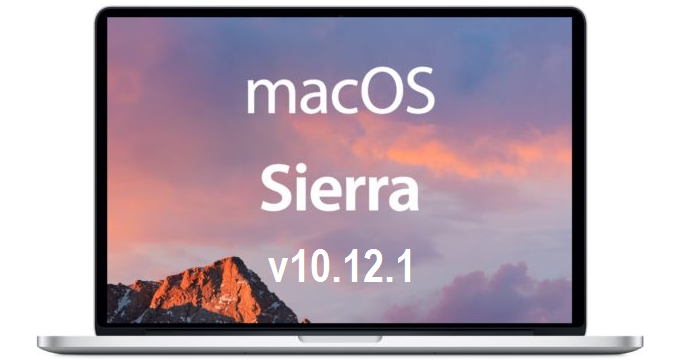 After testing various beta builds, Apple has officially releases final version of macOS Sierra 10.12.1 (Build: 16B2657) Update for Mac devices with numerous addition of new features, functions and improvements. The latest macOS 10.12.1 Update is now available for instant upgradation via Mac App Store and iTunes for free. Apple has also released Xcode 8.1 (8B62), Safari 10.0.1, iCloud 6.0.1, and iTunes 12.5.2 updates. Apple's macOS Sierra 10.12.1 Direct Download Links for manual installation through iTunes are available below. The official macOS 10.12.1 changelog can be read in image below. How to Install macOS 10.12.1 Update? Mac users can perform online installation of macOS 10.12.1 Update by navigating to App Store > Software Update option. To perform offline installation of macOS 10.12.1 with iTunes through .dmg update file, all Mac OS X Lion (v10.7) to macOS Sierra (v10.12) device users can Download macOS 10.12.1 DMG Setup Installer available in multiple languages such as; Français,English,Deutsch,日本語, Nederlands,Español,Italiano, Dansk,繁體中文,Português,Norsk Bokmål,Polski,Svensk,Suomi,Pусский,Português (Brasil),简体中文,한국어, Български,Slovenčina,Čeština,Tiếng Việt,العربية (مصر)‏,Ελληνικά,Hrvatski,Українська,Bahasa Indonesia,Română,Türkçe,Magyar,British English,עברית,Melayu (Malaysia),ไทย.